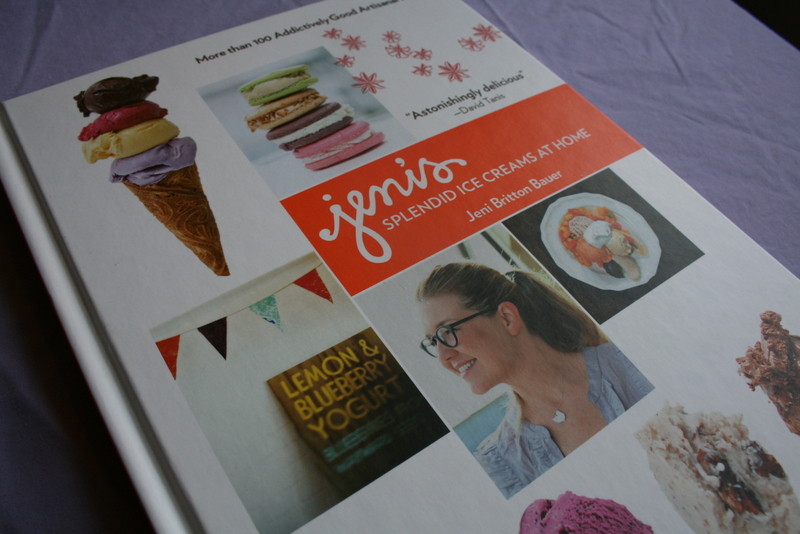 I’d been salivating over waiting to use my new Jeni’s Splendid Ice Creams cookbook (thanks Susy!) until I was ready to make their classic Salty Caramel as my first foray into the book. That, or their Ugandan Vanilla Bean, because I love my husband. But, as you know, in my never-ending quest to empty our teeny-tiny freezer (you’re probably wondering how it keeps getting full again. All I can say is, I manage to do it…over and over again), I found I had the exact ingredients for not one but TWO different sorbet recipes. So, Cranberry Royale and Watermelon Lemonade it was! 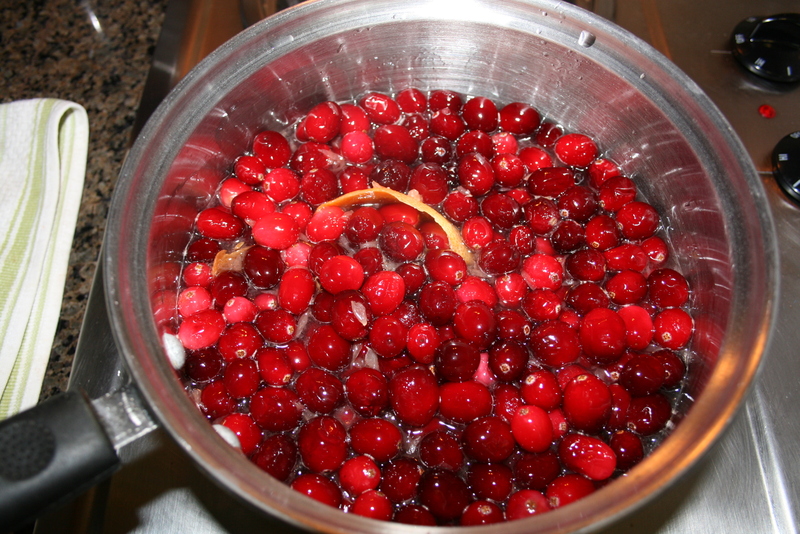 You make the cranberry sorbet much like you’d make cranberry sauce for Thanksgiving…cranberries, water, sugar and maybe some citrus. 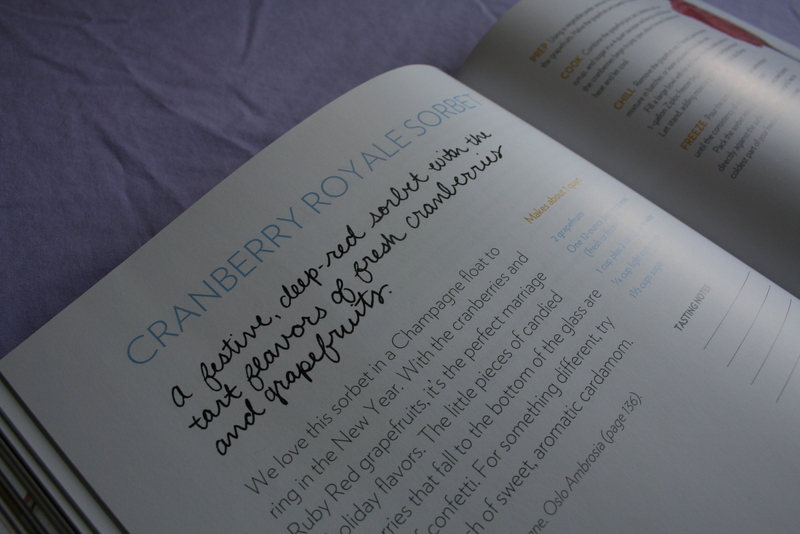 Jeni’s recipe calls for grapefruit juice and zest, which you can see in the photo. Her sorbets also call for light corn syrup. She goes into detail in the first sections of the book about how to make ice cream “scientifically.” I tried to follow, but the basic gist of it is the challenge of getting everything to bond with the water molecules. Unbound water molecules = icy ice cream or sorbet, not creamy. 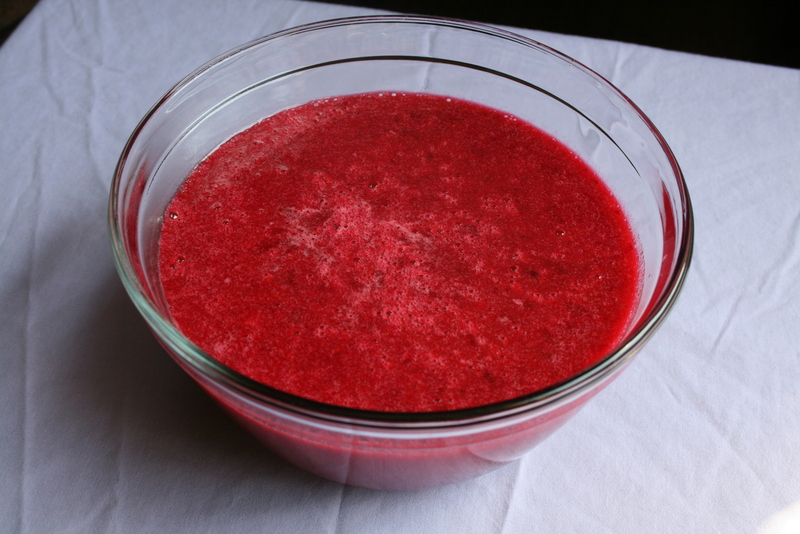 After making grapefruit/cranberry sauce, you puree the mixture (if you’d like) and set it aside to chill. She recommends putting it in a ziploc and setting it in ice water; I chose to leave mine in a bowl in the fridge for a couple hours. Mine got a lot thicker, although I don’t think it hurt the finished product. 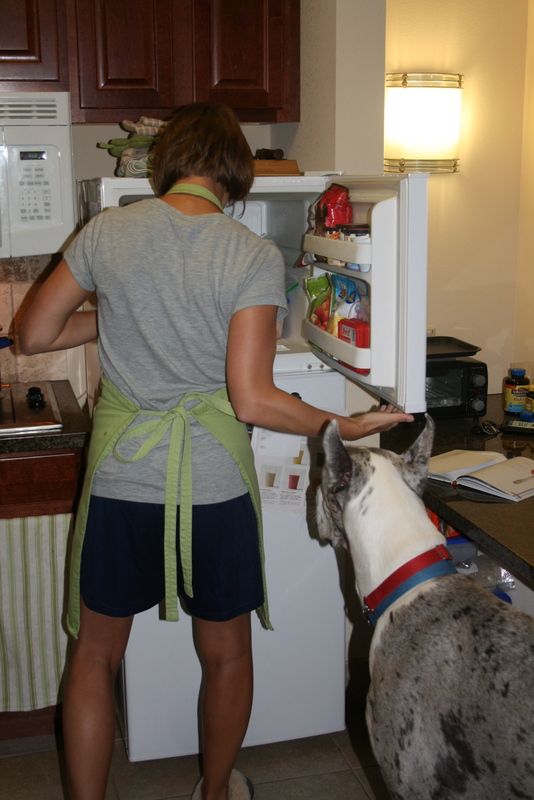 Every time we open the freezer, Hadrian thinks he’s getting a treat. Ice cubes. He loves them. I do, too, since they’re free (essentially) and always available. And free. And the only mess they leave is a little water here and there. 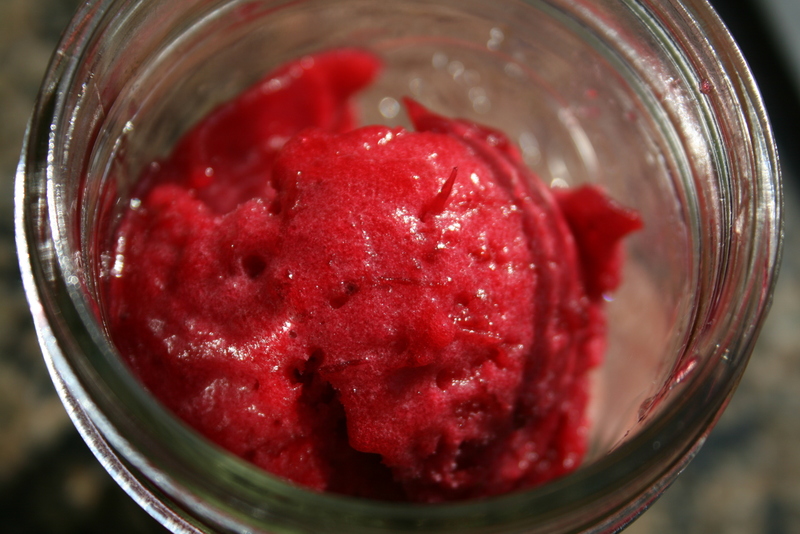 Here’s the watermelon lemonade sorbet. A relatively decent shot, if I do say so myself. Taking into account the poor lighting in the kitchen and the fact that I was holding the camera directly above it and snapping blindly, I DO say so! A word about the watermelon sorbet: It didn’t turn out very well. Very icy. But it’s my own darn fault. 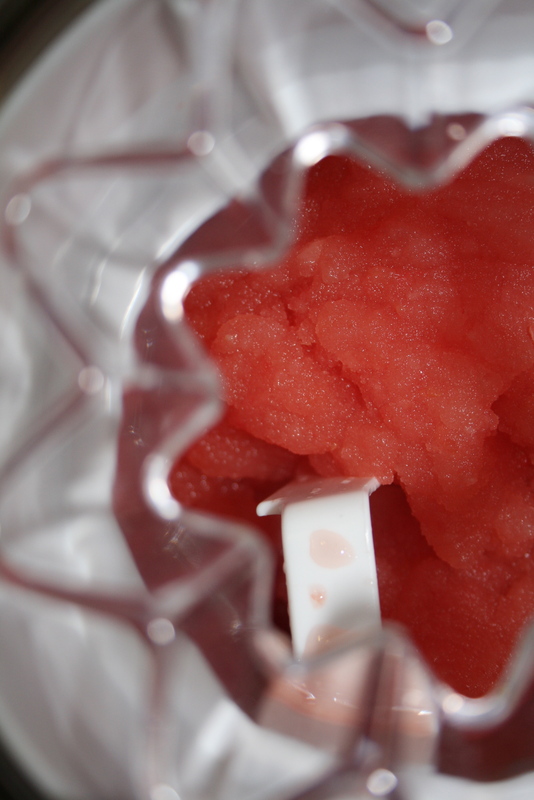 I used sub-par watermelon (that I’d already frozen–because it was SUB-PAR), and bottled lemon juice. So, yeah, I knew this one wasn’t going to be spectacular or anything. 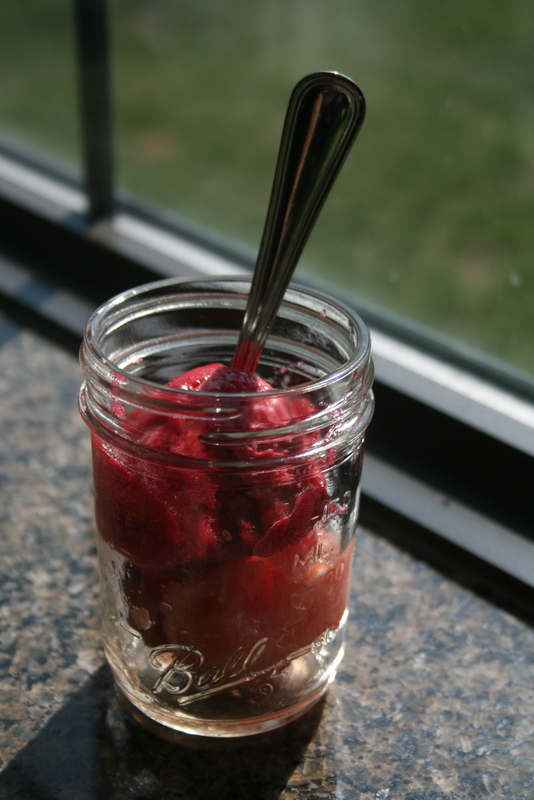 Finished cranberry sorbet…in a ball jar. I’m getting all fancy here with my food styling. The cranberry is AWESOME. Perfect creamy texture–how did that happen, there isn’t anything creamy in it??? I guess it’s all that water-bonding Jeni was talking about… And it’s got that back-of-your-tongue bite to it that is reminiscent of cranberry sauce. In fact, my first bite made me feel like it was Thanksgiving! Posted on August 18, 2011 February 27, 2016 by thehealthypineapplePosted in #fabfood, SweetsTagged cookbooks, cranberries, Dessert, Ice Cream, sorbet/sherbet.